Early explorers labelled this part of Southern Tasmania as the "worlds end". A true wilderness experience sums up that same feeling today. 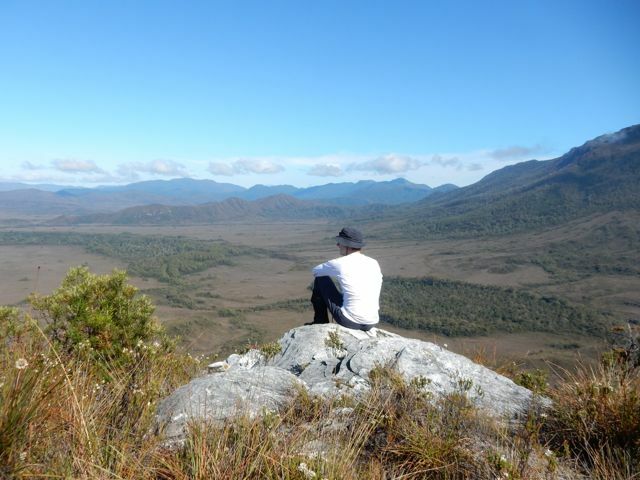 You will begin your 9 day 85km journey with a light aircraft flight into the airstrip at Melaleuca then travel from west to east along wilderness beaches and over dramatic peaks, through temperate rainforest and across pristine rivers and creeks. Aboriginal people used this same route for thousands of years as did ship wrecked sailors. Evidence of the aboriginal’s culture can still be seen today. The diversity of plant and animal species in the park is amazing, particularly the abundant bird life. These include aquatic bids such as the oystercatcher, gulls and albatross and forest birds such as cockatoo’s, orange bellied parrots and fairy wrens. A good level of fitness is required to complete this trek and walkers are required to carry a share of the food and tent accommodation and packs may weigh up to 20kg. Each day the terrain is different and the campsites that we visit are spectacular. partial or in full, will be given.